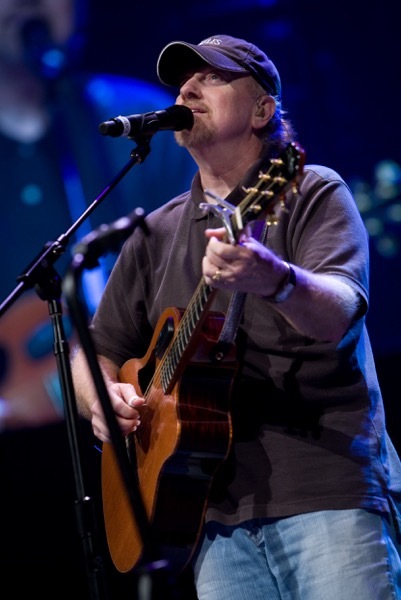 Bruce Carroll is an award-winning singer, songwriter, recording artist, producer, acoustic guitarist and multi-instrumentalist, author, speaker, mentor and worship leader. He has produced eleven #1 hits and sold 2.5 million records. Despite these numerous achievements and accolades, Bruce doesn't feel like he has "arrived". For him, the musical journey is just beginning, and every day it takes a fresh turn. "There's a deeper maturity in my faith, my life and even in my music these days. I've learned a lot along the way," he says. While it's virtually impossible to pigeon-hole Bruce's music into any one genre, it's always original, and always great! His lyrics, passionate and deeply evocative of the full spectrum of human experience, never fail to strike a personal chord with his audience. His story songs in particular reveal true insight in dealing with real issues and real people. 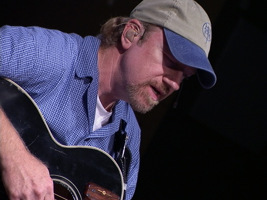 In 1997, Bruce took a break from being on the road full-time to serve as a worship leader in Colorado. The most recent 15 years were spent at a large church outside of Memphis, TN, where he built one of the premier musical worship teams in America before resigning in 2014. Hope Presbyterian Church experienced it's greatest season of growth under Bruce's musical leadership, growing from 2,100 attendees when he arrived in January, 2000 to a high of over 8,000 weekly attendees in 2011. 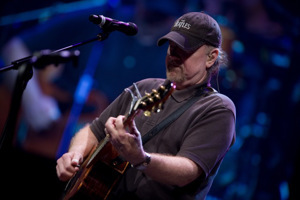 Bruce's accomplishments include: 2 Grammys, 7 Dove Awards, Angel Award - 2000 (for "Sometimes Miracles Hide"); Christian Music Hall of Fame inductee - 2010; Vision Award/Country Artist of the Year - 2009; Emmy nomination - 2012; in addition to multiple songwriter recognition awards received from ASCAP. Although Bruce's last studio release was Big World in 2005, he is currently in the studio recording a new project comprised of all original songs which is being produced by his 28-year-old son, Taylor. Bruce is excited to be back on the road again full-time with his wife of 34 years, Nikki, as well as finishing some literary projects. He has authored a best-selling, award-winning Christian book, "Sometimes Miracles Hide". Nikki is completing an autobiography about her journey from hurt to healing, beginning with an abusive home as a young girl, later disappearing into a religious cult, and eventually being kidnapped and deprogrammed. In addition, Bruce and Nikki are working on a book about marriage and are often asked to speak on the subject. As a worship leader with 18 years' experience, Bruce is available to be the "lead worshiper" for conferences, to lead workshops, and to share his concert ministry. Still going strong, Bruce is writing, recording, producing and performing great music from the heart with fresh insight for today. 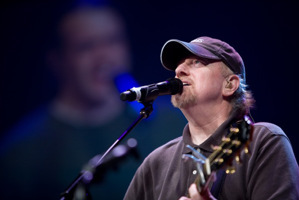 Bruce Carroll is a multi-talented worship leader, musician, and man of God. A personal friend for 20+ years, I can highly recommend him to minister in any setting. He will no doubt be a blessing to you. Bruce iis an authentic follower of Christ - &quot;the real deal&quot;. He is a great communicator with a winsome personality, and, he is musically excellent;! Yes, I heartily recommend Bruce Carroll to any and all! Bruce Carroll&#39;s songs brought together musical artistry, gospel clarity, and a humble sincerity. Bruce is the best guitar player I have ever heard live in concert! Bruce is one of finest singer/songwriters and worship leaders I&#39;ve ever witnessed. You will not regret booking him for a concert or upcoming event...do whatever you can to make it happen!